It is simple with tender & satin cloth softly. 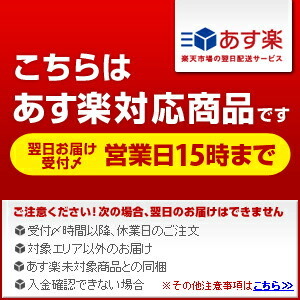 It is a high quality in what is low-priced. 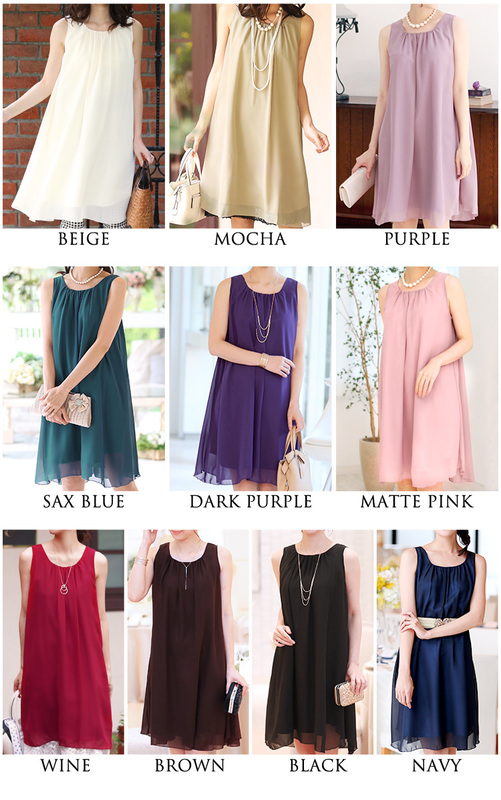 As for ten colors of medium dresses of simple A-line, cloth for list, good refined panne cloth for は feel in light cloth does not think with the affordable price very much softly softly. Because it is A-line relaxedly, a bare enemy is good to the big pregnant woman of the stomach! Ten colors of rich color variations are the nice points even if they say anything! Of course the after giving birth is economical because it is the design which you can just wear! It is the dress which is nice in a wallet! 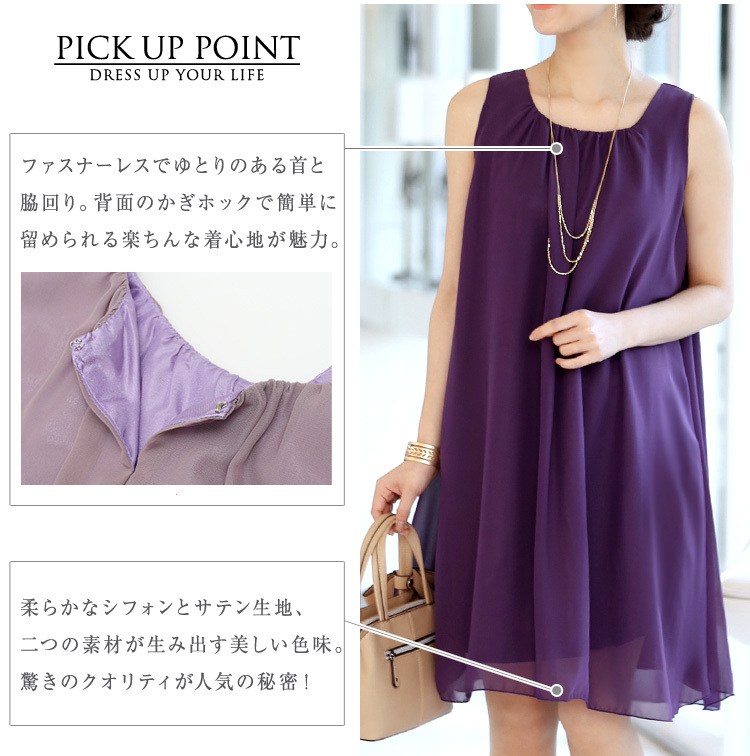 In our store, I sell the dress (mi01) of the design similar to a product of this place. 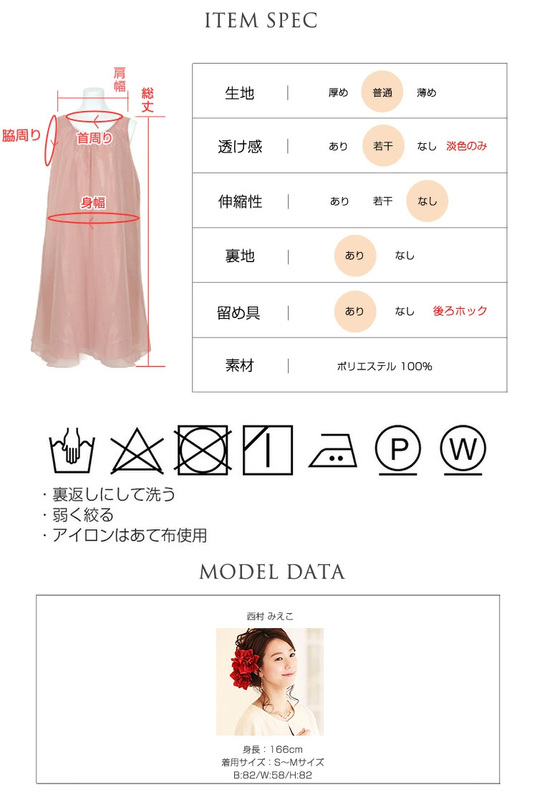 It was the dress of the product page of this place (mi08), but a neckline opened this place a little than (mi01), and, in the case of me, the chest really looked opened under approximately 3cm than (mi01). The chest opened than (mi01), but a beautiful line of the decollete was emphasized and had a gorgeous impression. 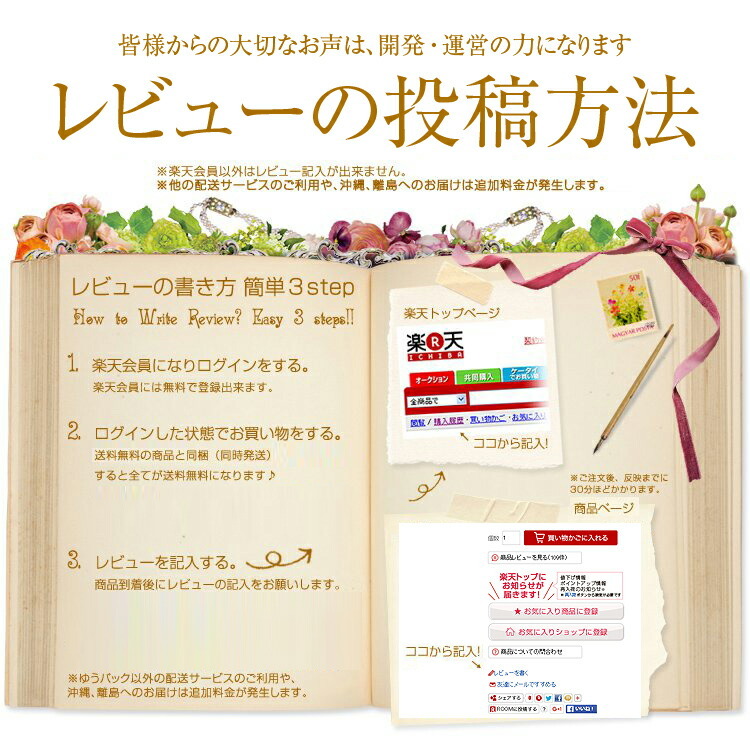 If is worried about a gap between chest; revision tape is wonderful; want to wear it without do ♪ thinking that is the wonderful simple dress which is good to an adult girl if show it, and use inners, and using inners without minding the chest! 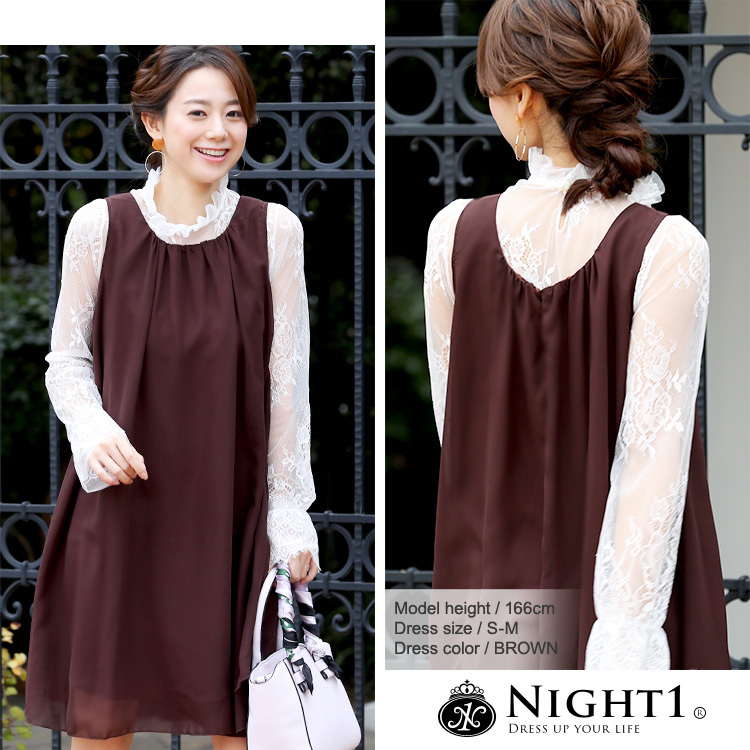 I recommend a dress of (mi01) clogged up with some neck to というお visitor. Because it is a dress of the unhurried A-line, both recommend both as a maternity dress. I tried on XL of the sax blue. Because it was a dress of the A-line, as for me whom a figure did not return to in after giving birth, in a dress was hesitant, but was relieved to be able to wear this without unreasonableness with スポッ. Does it not seem that I open gently thickly? I thought of と, but Ikuji of the satin made a vertical line lightly and liked it more because a silhouette was unexpectedly pretty! Because I am pretty and can adjust a waist with rubber belts even if I coordinate with a belt, it is recommended at all for a person disliking pregnant and a tightened thing! ♪ which thinks that I am very pretty when I coordinate in a necklace and a bolero because it is simple If there is the wedding ceremony of the friend during the pregnancy, and I have been troubled when I should do what for fear of wearing a tight dress, but it is early and meets this product…! I thought of と. I enjoy the most delicious dish without this minding a figure and seem to be able to enjoy the conversation with the friend! I tried on L - XL size this time. I am glad of what the hook which stuck behind a neck is doing a hook if a cover wears it from the top and can wear! I can wear it easily in a short time suddenly. 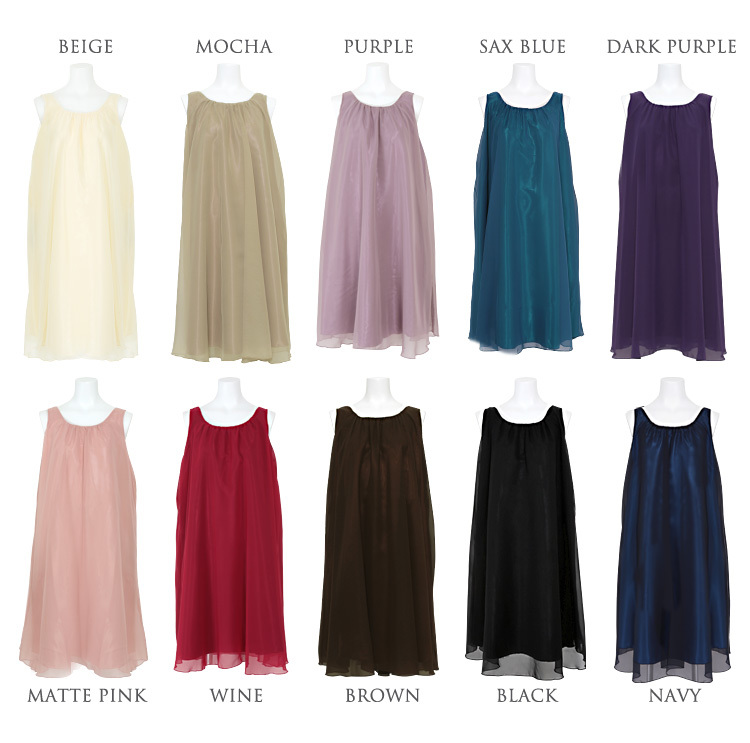 I wore wine, but it is wonderful that luster appears slightly because inner cloth is satin! This dress should change in various atmospheres by a thing to put together. I think that coordinates are made good with the favorite thing of belt, necklace, bolero, corsage ... holdings. ▼The notation size flat; it becomes the approximate number that put it, and is similar, and measured. 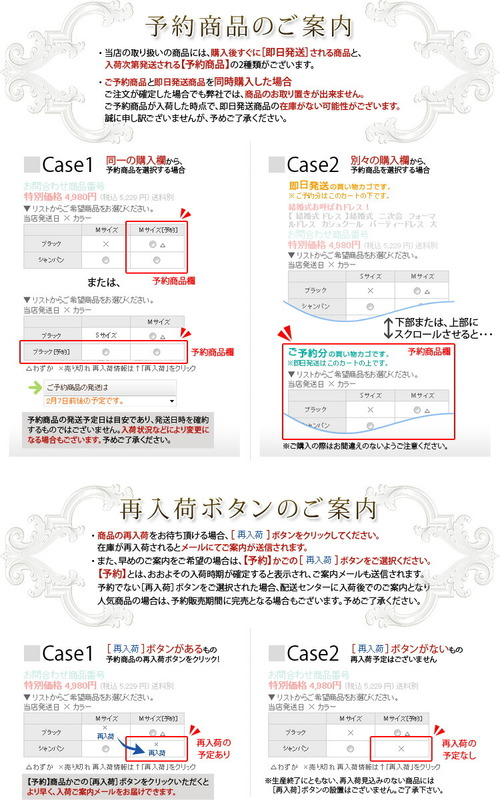 ▼By production time, there is the case that is different from the size mentioned above in the size notation of the tag. Approve it beforehand. 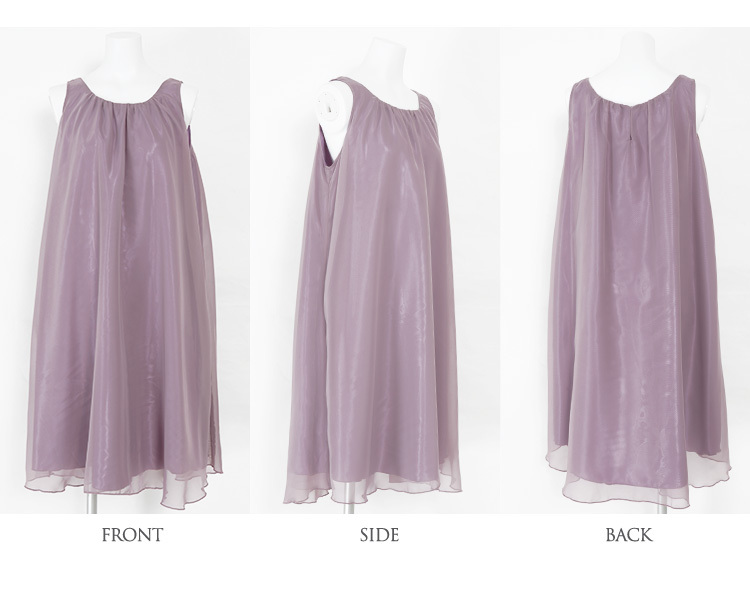 Soft & satin fabric is soft レディーシンプルミディアム dress simple ♪ is very popular as a dress one piece than cheaply! Perfect for maternity will loose A line because I'm ★ I have dinner parties and out dressed in a little... How perfect for at the time.